Tony the tiger has lived at a truck stop for 15 years. Locked in a cage next to a highway, Tony has spent the past decade and a half listening to the rush of traffic in Grosse Tete, Louisiana, and being gawked at by truckers. "It is a truck stop where it's blacktop filled with diesel fumes and crowds of people that taunt Tony," Carter Dillard, director of litigation for the Animal Legal Defense Fund (ALDF), told The Dodo. "It's nothing like the environment he was born to inhabit. It's torturous given his nature." 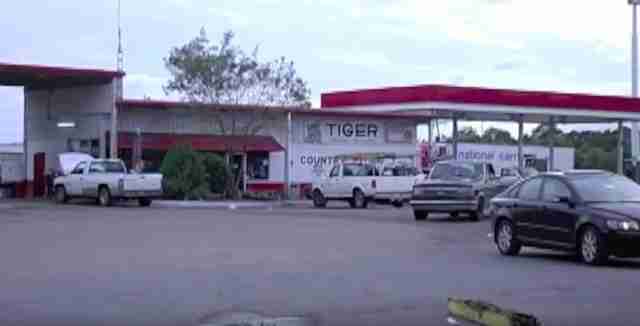 Tony's supporters have been fighting for years to force the Tiger Truck Stop to relocate Tony to a sanctuary, and have pointed out that owner Michael Sandlin violated the law for years by keeping the big cat. 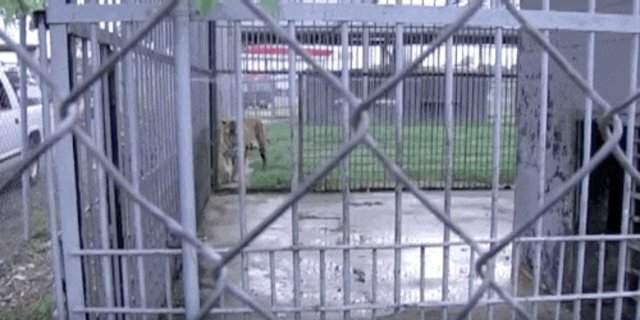 But Sandlin, who owns both the rest stop and the tiger, has vehemently defended keeping Tony, arguing that he recently added a grassy run to the tiger's barren cage and that the enclosure is larger than the USDA minimum - though federal regulations barely allow enough room for animals to move about in and are an admittedly low standard to go by. "The threat of him being drug away to some strange place - never petted, never sweet-talked to again ... I would not stand by and see that happen to that tiger," Sandlin told New Orleans' Times-Picayune in 2014. "To have these idiots, these nuts that think they know more about tigers than I do - I can't stand it." He regularly posts photos with phrases like "activists taste like chicken" and criticizing state regulatory officials. 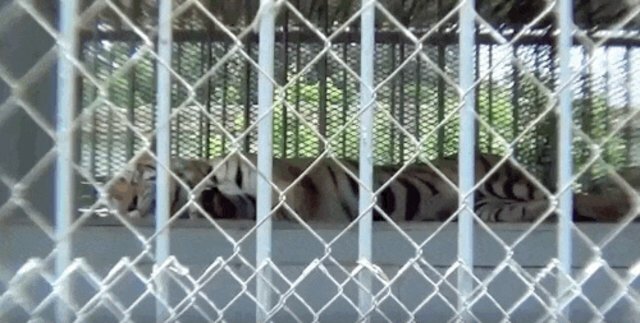 Dr. Jennifer Conrad, a veterinarian who specializes in big cats and has worked with ALDF to free Tony, said that a busy truck stop is an inherently cruel place to keep a grown tiger. "This poor cat is subjected to diesel fumes and noise without a break," Dr. Conrad told The Dodo. "His highly adapted senses must be overloaded with these noxious stimuli. This seems to be an untenable situation for any animal, and Tony reacts by incessantly pacing." Dillard noted that Tony's only purpose is to serve as a tourist attraction to attract customers. Unfortunately, the struggle to save Tony goes back years - and Sandlin's been fighting to keep the truck stop tiger every step of the way. "Tony has been confined at a truck stop in violation of Louisiana law for years," Dillard said. "And because of various delays in the legal system, there he remains, at the truck stop." Sandlin purchased Tony back in 2001 as a 6-month-old cub to add to his collection of tigers. Even then, Sandlin had a questionable history with animals. He frequently bred tigers at his property, but dispensed with them in unsavory ways. 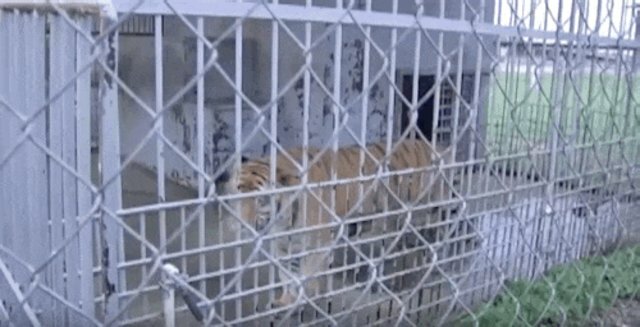 In 1989, according to Florida sanctuary Big Cat Rescue (BCR), Sandlin raffled off an 11-month-old tiger cub who was living in a 16-by-7-foot cage. The entry form announced that the winner could do whatever he wanted with her - donate her to a zoo, sell her, keep her or give her to a friend. Later, in 1997, Sandlin would sell a pair of cubs for $2,500 to a couple passing through on a camping trip, according to BCR. One of the cubs suffered from fluid collection in her joints, a side effect of living on concrete. He also developed a long history of Animal Welfare Act (AWA) violations, and had been cited by the USDA on numerous occasions for failure to provide shelter from inclement weather, lack of clean water, failure to provide veterinary care, mishandling of animals, failure to maintain cages, improper food storage and lack of qualified animal carers, according to both BCR and ALDF. He also declawed at least some of the tiger cubs he kept, and one of them died following the operation, BCR said. By 2003, Tony was living with three other tigers at the truck stop. But as the string of welfare violations continued to grow, the USDA cracked down. 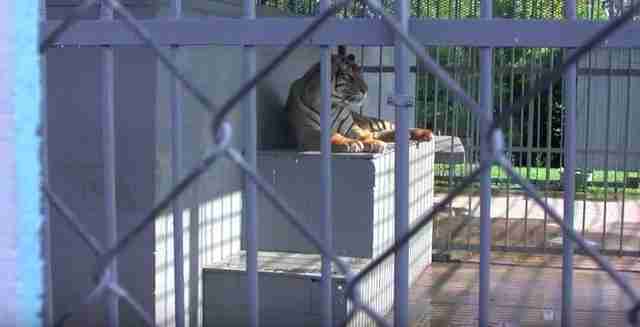 They confiscated the three other tigers but left Tony behind - and he's been at the truck stop ever since. Fortunately the breeding and AWA violations have died down in the years since the USDA confiscations, though Sandlin has been cited for failing to maintain and clean the cages, according to BCR. 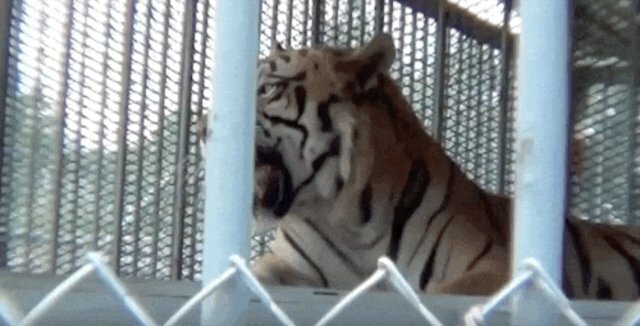 But animal lovers are still concerned about the effect that living in a truck stop has on the 15-year-old tiger, and their years-long fight to relocate Tony to an appropriate habitat has been met with unsavory tactics by Sandlin. 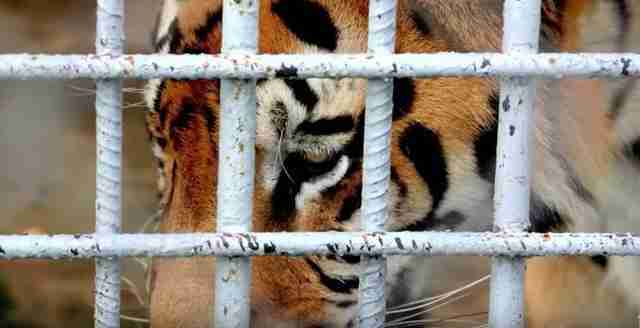 According to Dillard, Sandlin's captive tiger program has been illegal from the beginning. A local ordinance prohibited keeping wild animals for pets or display, but he said Sandlin ignored it and proceeded to grow his collection. 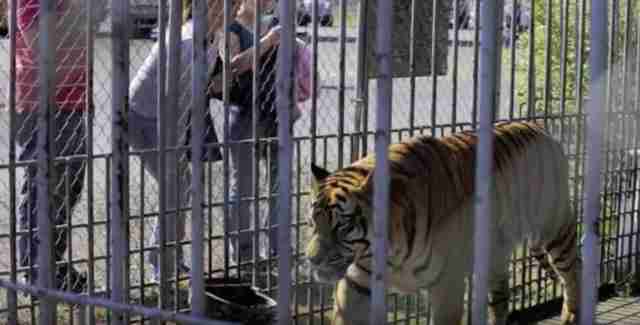 It also went against Louisiana law, which prohibits citizens from keeping pet tigers with some exceptions. Sandlin didn't meet the requirements for those exceptions, but the Louisiana Department of Wildlife and Fisheries (LDWF) still issued him a permit to keep Tony in 2009. The following year ALDF sued LDWF for incorrectly issuing the permit and won. The case made its way up to the state court of appeals but was upheld. Around this time, BCR, which says it receives more public complaints about Tony than any other animal, made a standing offer to take the tiger off Sandlin's hands and provide him with a lifetime of care at their sanctuary. "Tony's well-being is all that matters," the group wrote. They even offered to change Tony's name and not use him in promotional materials to let the truck stop "save face," but Sandlin refused. Instead, Sandlin responded in a novel way. He began to court legislators and members of the state government, and last year Louisiana Gov. Bobby Jindal signed a law specifically exempting Sandlin from the restrictions on wild animal keeping that apply to everyone else in the state. "He went to the legislature and got sort of what we call a law ... just for him ... unconstitutionally passed," Dillard explained. "It's just because the delays in the legal system have kept him there, but it's clearly illegal." Days later, in June 2014, ALDF filed a lawsuit on behalf of Louisiana taxpayers challenging the exemption law, but Sandlin responded with what Dillard called a "frivolous" lawsuit challenging ALDF's suit. Now, like they have been for the past five years, ALDF is waiting for the Louisiana courts to address Sandlin's latest stunt. Dillard said he's still optimistic that the legal campaign will succeed. "There is hope," he said. "We are waiting for a decision in Michael Sandlin's case challenging the law. We are also in the process of re-filing a case challenging the unconstitutional system that Sandlin wrote for himself." But Dillard said it's been dispiriting to see the legal system work so inefficiently. "Good people don't sit around and watch innocent animals suffer, Dillard said. "So the legal system needs to work to avoid people taking direct action." "Tony is a poignant example of the legal system failing to redress illegal mistreatment of animals," he added. "And when the system fails, it endangers everybody." While the courts have all the time in the world, Tony doesn't. 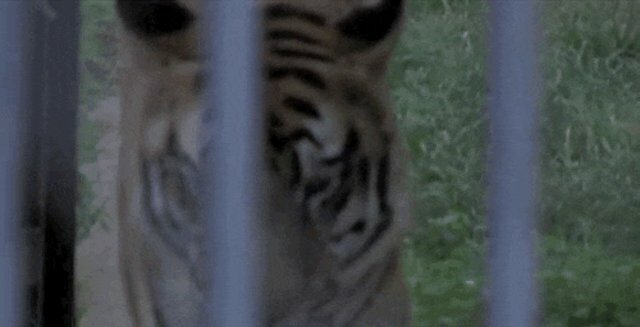 Tigers live around 20 years in captivity, and Tony's been living in less than ideal conditions. Dr. Conrad, the veterinarian, said that she worries about the tiger, who likely doesn't have much time left if he wants to experience sanctuary life. "Michael Sandlin seems to have dug his heels in, not because he doesn't know what he's doing to this majestic animal is wrong, but more because he doesn't want to be told what to do," she said. "It is sad to say that the 15-year-old tiger might not live long enough to see his rescue at this rate." If you'd like to help, you can make a donation to ALDF to support the team's ongoing legal efforts. You can also sign a petition here asking for Louisiana to retire Tony to a sanctuary.